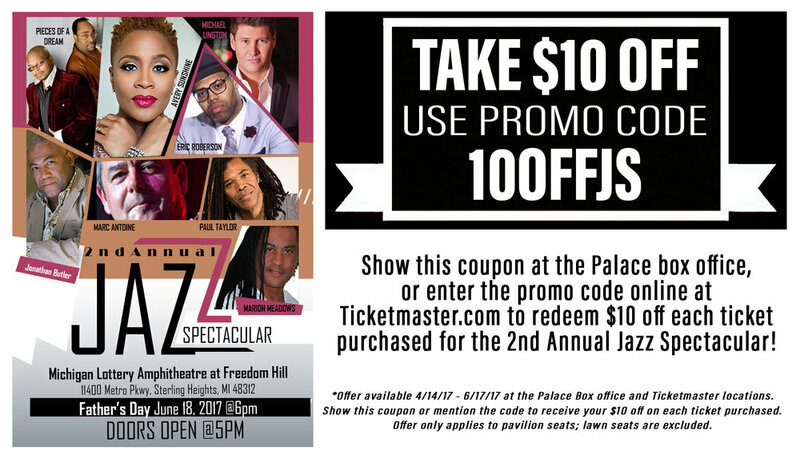 Concerts — "Internet's Finest Radio Station"
The 2nd Annual Jazz Spectacular - Sunday, June 18th at 6pm at the Michigan Lottery Amphitheatre at Freedom Hill. Don't miss this evening of jazz with Pieces of a Dream, Avery Sunshine, Michael Lington, Eric Roberson, Jonathan Butler, Marc Antoine, Paul Taylor and Marion Meadows. JZZMUSIC.COM COPYRIGHT © 2016. ALL RIGHTS RESERVED.